We are delighted to announce that the range of the Gentle class will soon be expanding from downtown Bowling Green out into Warren County—specifically to Ephram White Park! For six weeks this spring, Angie will offer an abbreviated version of the Gentle class to the clients of the Warren County Parks & Recreation Department Senior Center. The class will meet on Mondays at 11:30 a.m., shortly after the existing Zumba class concludes so that students can take both classes if they choose. The yoga class begins on April 3. Best of all, because Warren County is paying Angie directly, the class is free to participants! If you or anyone you know would like to join us for this new class, please come out to Ephram White Park any or all of these Mondays: April 3, 10, 17, and 24; May 1, 8. We look forward to taking our community yoga classes into another community venue! 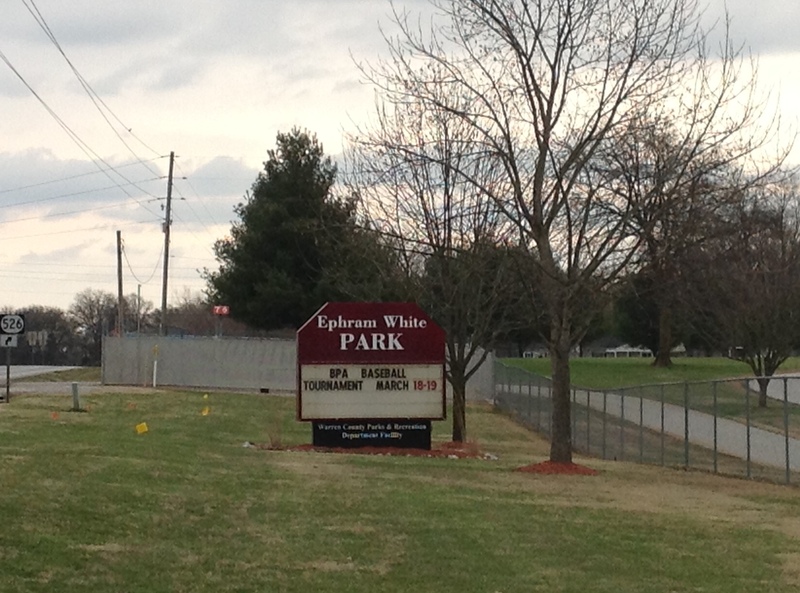 Join us on Monday mornings for yoga at Ephram White Park! This entry was posted in community, places for yoga, schedule and tagged Angie Jones, April, Ephram White Park, Warren County Parks & Recreation Senior Center. Bookmark the permalink.